Washington— In the months since President Donald Trump announced his candidacy for re-election, ten White House officials appear to have violated the Hatch Act by using their official government Twitter accounts for political activity, according to complaints filed today by Citizens for Responsibility and Ethics in Washington (CREW) with the Office of Special Counsel (OSC). These officials include Office of Management and Budget (OMB) Director Mick Mulvaney and White House Press Secretary Sarah Huckabee Sanders. CREW’s complaints detail instances from ten Trump Administration officials who posted tweets in support of candidate Trump or the Republican Party including six who tweeted the Trump campaign slogans “Make America Great Again” or “#MAGA”. Each Twitter account that was used for political activity is clearly intended and used for official White House or government business. 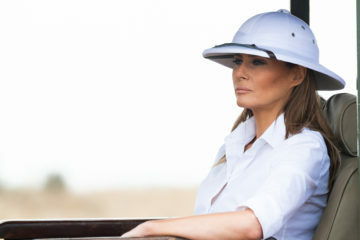 The ten Trump Administration officials named in the complaints are: Office of Management and Budget (OMB) Director Mick Mulvaney, White House Press Secretary Sarah Huckabee Sanders, Deputy Director of Communications Jessica Ditto, Executive Assistant to the President Madeleine Westerhout, Principal Deputy Press Secretary Raj Shah, Deputy Press Secretary Hogan Gidley, Deputy Press Secretary Lindsay Walters, Director of Media Affairs Helen Aguirre Ferré, Press Secretary for Vice President Mike Pence Alyssa Farah, and OMB Deputy Communications Director Jacob Wood. The Hatch Act prohibits any executive branch employee from “us[ing] his official authority or influence for the purpose of interfering with or affecting the result of an election.” OSC guidance on applying the Hatch Act prohibitions to social media, including Twitter, specifically advises that an employee may not “use a Facebook or Twitter account in his official capacity to engage in political activity” and requires that “any social media account created in a federal employee’s official capacity should be limited to official business and remain politically neutral.” On March 5, 2018, following multiple Hatch Act violations by a Trump Administration official, OSC offered additional clarification explicitly prohibiting an employee from using the slogan “Make America Great Again,” hashtags such as #MAGA, or “any other materials from President Trump’s 2016 or 2020 campaigns.” Some of the violations addressed in these complaints occurred within days of this OSC guidance. Following previous CREW complaints, both Ambassador to the United Nations Nikki Haley and White House Director of Social Media Dan Scavino Jr. were cited for Hatch Act violations. Counselor to the President Kellyanne Conway also received ethics counseling following a CREW complaint over her violation of federal ethics regulations by using her official position to promote Ivanka Trump products. The White House affirmatively rejected OSC’s findings related to Ms. Conway, and none of the three appear to have been disciplined following their misconduct. Trump officials across the administration appear to have violated the Hatch Act by using their official government positions and resources for political activity. 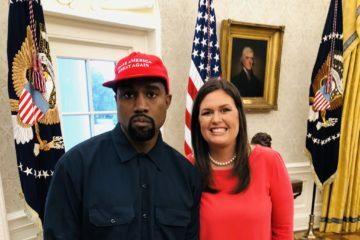 Sarah Huckabee Sanders likely violated the Hatch Act by using her official Twitter account to tweet a photo with Kanye West, who was wearing a “Make America Great Again” hat.